As an Archtectural and Engineering firm you need to publish files that are easy for your customers, contractors and design teams to access and work with easily. If you create in AutoCAD, Solidworks or Microsoft Office you may need to publish your documents to PDF for distribution purposes. While converting isn’t difficult it can be time consuming, especially if you need to add stamps, footers, and security. This can be a full time job if you generate 1000’s of documents monthly. If gets even more tedious if you also need to act on comments and updates, deciding to accept or reject the design changes suggested. Why not let Bluebeam Q streamline your processes. Bluebeam Q provides PDF document conversion for engineering, architectural and construction firms with large volumes of documents. 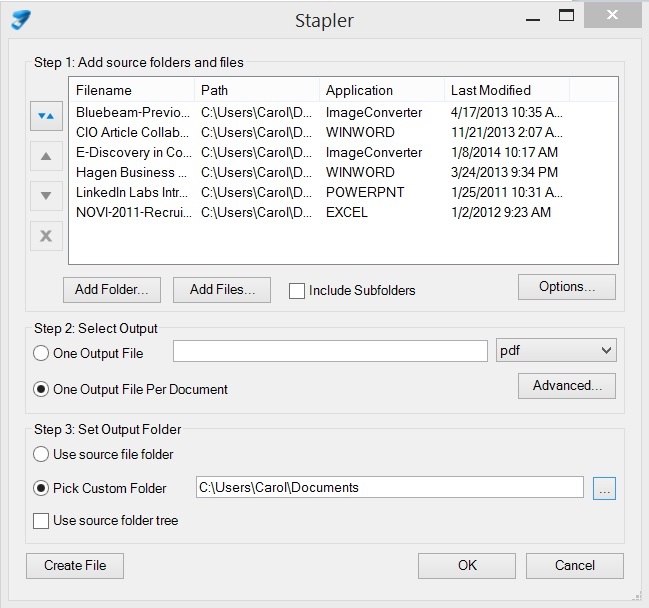 DWFs and large format, Microsoft office and CAD files all can be published to PDF for distribution. Ideal for designs and plans, let Bluebeam Q add stamps, headers , footers etc to make it easy for your customers to conduct business with you. 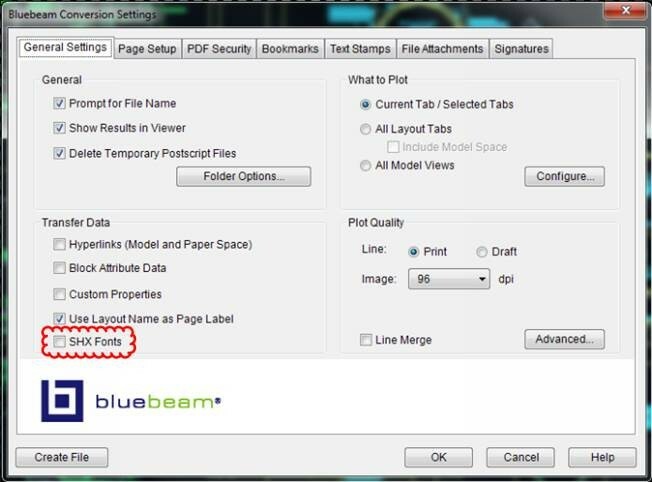 Bluebeam Q is a server based solution that offers four components: Print to PDF, Watched Folders, Scripts and an API. Have your CIO or IT team evaluate Bluebeam Q, just download our free 30 day trial. 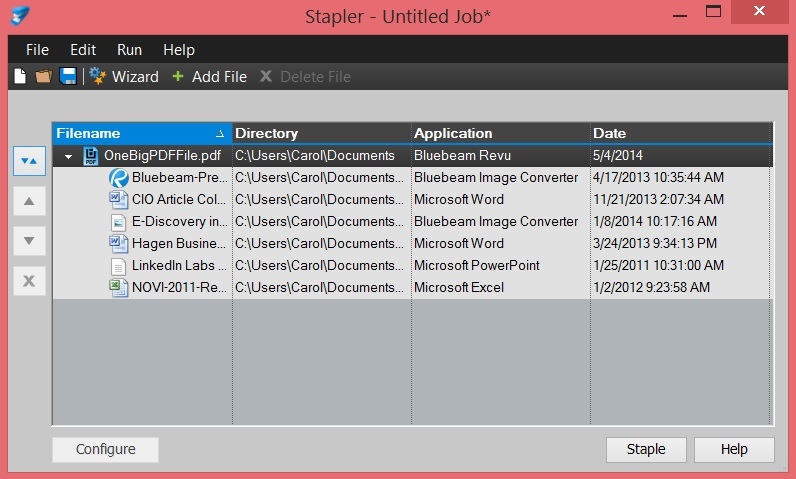 <a href="http://wp.me/pyVX8-LG/&quot; title="Bluebeam Tip:Convert Multiple Files to PDF with Stapler"
Posted by carolhagen in CAD, Construction Industry - Software, Document Imaging. Collaboration on large format construction drawings often has the expectation that all the team players have the same tools. Architects and engineers spend countless hours in AutoCad then share their drawings with the General Contractor. 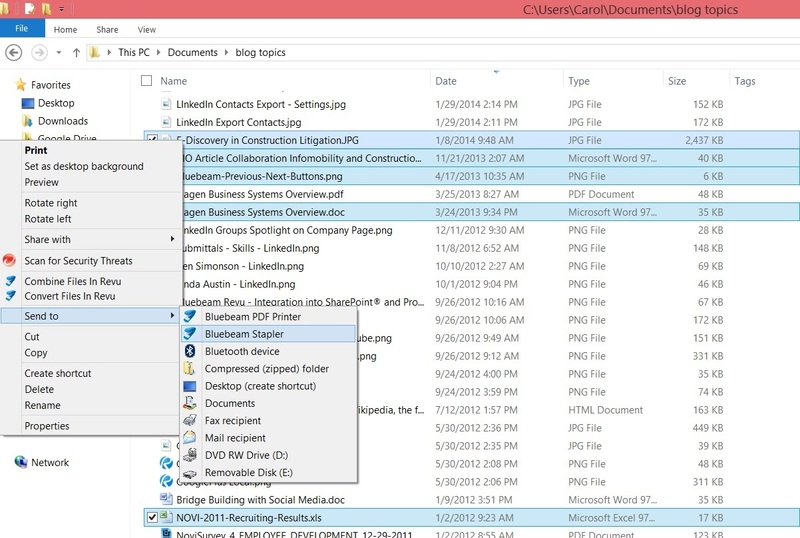 Most smaller GCs have a license of AutoCad just to open these files and make a few annotations. But not everyone on the construction team is fluent in AutoCad nor has a licensed copy. To share details and collaborate the next best thing is make a PDF, but depending upon the PDF software, the drawings may not turn out as detailed as the designer created them. This is a sore spot for Architects and Engineers who are detail oriented. The more you zoom in, the more pixelated they may become. This happens because these PDF programs are not designed to generate Vector PDFs. Bluebeam PDF Revu CAD to the rescue! Large Format drawings may have sweeping arcs that look like straight lines strung together, not in Bluebeam. The Vector graphics are retained even when you decide to reduce the size of the PDF for emailing. You don’t have to tolerate mediocre PDF conversion any longer! For AutoCad enthusiasts, Bluebeam speaks your language with the same quick keys for inserting line, text boxes, etc you’re learning curve will be a breeze. Markups are also a snap as you can create tool sets during one markup session, save them and use them again later. A square “cloud” can be colored yellow with a 50% opacity and used over and over again, even changing the shape without having to create it from scratch. For the non AutoCad user, the multi-click navigation to get to add a text box is eliminated, even if you aren’t familiar with Quick key shortcuts. Bluebeam designed PDF Revu with easy navigation tool bars that are customizable so you can have the cloud, Text box, line, arc, or call out handy. Put them where you want them, or surround the workspace if you like with nav buttons on the top, right or bottom. Next week I’ll showcase the AutoCad export functions which add flexibility and save time in the the PDF creation process. If you want to experience Bluebeam for yourself, here’s the 30 day trial option. Have questions? I’m here, yes, to answer Bluebeam questions for you in the AEC industry. If you try the 30 day trial Leave me a commment on your experience.